Folk hero and labor activist Joe Hill was executed a century ago by the State of Utah for a murder he may or may not have committed. His legacy lives on through his protest songs that envisioned racial, gender and income equality. A play with music featuring Daniel Beecher, Carleton Bluford, Roger Dunbar, April Fossen, Tracie Merrill and Jay Perry. Musically directed by David Evanoff, choreographed by Stephanie Howell, designed by Keven Myhre (set), Jesse Portillo (lighting) and Aaron Swenson (costumes), directed by Jason Bowcutt. From the author of THE END OF THE HORIZON, WALLACE and THE THIRD CROSSING. Developed in part at Utah Shakespeare Festival’s New American Playwrights Project. Sponsored by The George B. & Oma E. Wilcox and Gibbs M. & Catherine W. Smith Charitable Foundation. Register to attend Jeremy Harmon’s free Joe Hill-related lectures at the Marriott Library on November 4 and November 14 (select ‘other’ in both drop-down menus). Debora Threedy (Playwright) has premiered her plays THE END OF THE HORIZON, WALLACE and THE THIRD CROSSING at Plan-B. Both THE END OF THE HORIZON and ONE BIG UNION were developed as part of Utah Shakespeare Festival’s New American Playwrights Project. THE THIRD CROSSING won the Fratti-Newman Political Play Contest. Her play DESERT WIFE toured Utah for over a year. Daniel Beecher (Actor 2/McHugh, Ritchie, Hilton, others) is delighted to make his Plan-B debut. A none-too-recent graduate of the University of Utah’s Actor Training Program, his recent theatre credits include STAGE KISS (Wasatch), TWELFTH NIGHT (Salt Lake Shakespeare), AUGUST: OSAGE COUNTY (Silver Summit/Utah Rep), OUR TOWN and DEATH OF A SALESMAN (Grand) and COURSE 86B IN THE CATALOGUE (SLAC). Recent film: B+A. Carleton Bluford* (Actor 1/Working Stiff) premiered his play MAMA at Plan-B (City Weekly Best of Utah Arts Awards, Best Theatre Production and Best Original Play). Recent acting credits include WALLACE, THE THIRD CROSSING, A/VERSION OF EVENTS and MARRY CHRISTMAS (Plan-B), IN THE HEIGHTS, THE ROCKY HORROR SHOW, IT HAPPENED ONE CHRISTMAS and THE COUNT OF MONTE CRISTO (PTC) and STREETLIGHT WOODPECKER and THE OVERWHELMING (SLAC). Recent film credits include Stop Pepper Palmer (Best Supporting Actor, WorldFest Houston) and the remake of Saturday’s Warrior. Jason Bowcutt (Director) is very happy to once again be working with Plan-B, where he has acted in BASED ON A TRUE STORY and Debora Threedy’s THE END OF THE HORIZON and directed ADAM AND STEVE AND THE EMPTY SEA and MARRY CHRISTMAS. Other Utah directing credits include [title of show] for Utah Rep, REASONS TO BE PRETTY (UofU) and WELL (PYGmalion). Jason spent many years working as a professional actor in New York and at theatres across the country. Cheryl Ann Cluff (Sound) co-founded Plan-B in 1991, has served as Managing Director since 1995 and has designed sound for nearly every Plan-B production since 2001. Cheryl has directed every episode of RADIO HOUR since 2005 as well as MESA VERDE, THE SCARLET LETTER, SUFFRAGE, 3, CHRISTMAS WITH MISFITS and BASED ON A TRUE STORY for Plan-B. 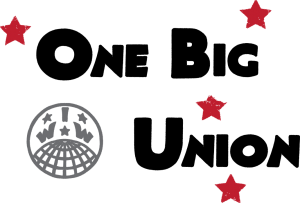 Roger Dunbar (Actor 3/Joe Hill) played Joe Hill in Utah Shakespeare Festival’s New American Playwrights Project reading of ONE BIG UNION and is thrilled that it’s also his first Plan-B production. Other local credits include DOUBT and AMADEUS (Utah Rep), ART, THE COMEDY OF ERRORS, BOEING BOEING and BETRAYAL (Pinnacle), HEDDA GABBLER, THE WINTER’S TALE and WAITING FOR GODOT (Sting & Honey), THE 39 STEPS (Sandy Arts) and THE PHILADELPHIA STORY (PTC). Dave Evanoff (Musical Director) has been a Plan-B collaborator for many years. He is proud to have supplied Plan-B with its first-ever professionally recorded CD in 1995 (blank CDs cost $50 in those days). He has composed music for many a RADIO HOUR episode, lead the band for three productions of HEDWIG AND THE ANGRY INCH and composed music and lyrics for Plan-B’s first original musical, KINGDOM OF HEAVEN. For 25 years he has been owner/operator of David Evanoff Sound Designs, a full-service recording studio, producing music and sound for television, film and special events. April Fossen (Actor 6/Rae Wellman, Hilda Erickson) has appeared in Plan-B’s BOOKSMART, PILOT PROGRAM, NOTHING PERSONAL, SUFFRAGE, MESA VERDE, SHE WAS MY BROTHER, MIASMA and the Script-in-Hand Series readings of MARRY CHRISTMAS, 8 and EXPOSED. Other recent credits: BULL SHARK ATTACK and BLACKBERRY WINTER (SLAC), STAGE KISS (Wasatch), AUGUST: OSAGE COUNTY (Silver Summit/Utah Rep) and TITUS ANDRONICUS (Pinnacle). Regional credits include Berkeley Repertory Theatre and the California Shakespeare Festival. April holds a B.A. in Theatre Arts from UC Berkeley. Stephanie Howell (Choreographer) has worked as a choreographer, dancer and actress in New York, Boston, New Hampshire, Chicago, Los Angeles, Prague and Salt Lake City. Acting credit include BASH: LATTERDAY PLAYS, THE ALIENATION EFFEKT, THE END OF THE HORIZON, BORDERLANDS and 3 (Plan-B), MR. PERFECT and GOOD PEOPLE (SLAC) and SPARK (PYGmalion). She holds a B.S. in Theatre Arts from Northwestern University. Tracie Merrill* (Actor 6/Elizabeth Gurley Flynn) is thrilled to be working with such an amazing group at Plan-B, where her credits include LADY MACBETH and DI ESPERIENZA. Other favorite local productions: SELMA65, CHEAT and STOP KISS (Pygmalion), RAPTURE, BLISTER, BURN and ICE GLEN (SLAC), RINGS (Grand), DRACULA (PTC) and RARE BIRD (UofU). Tracie received her MFA from UT-Knoxville and classical degree from Weber Douglas Academy in London. Keven Myhre (Set) is thrilled to design his first Plan-B production. In March, he received United States Institute for Theatre Technology’s Thomas DeGaetani Award for Outstanding Lifetime Contribution to the performing arts and entertainment industry. Keven has designed sets for more than 200 productions. He has worked in many facets of theater including executive producer, director and costume designer. He is currently the Operations Director for Utah Presents at Kingsbury Hall. Jay Perry* (Actor 4/Otto, MacDougall, Spry, others) has appeared in Plan-B’s TRAGEDY: A TRAGEDY, THE ALIENATION EFFEKT, FACING EAST (also San Francisco, Off-Broadway), GUTENBERG! THE MUSICAL!, SHE WAS MY BROTHER, LADY MACBETH, CLEARING BOMBS, Script-In-Hand Series readings of THE NORMAL HEART, A DOLL HOUSE and 8, the Free Elementary School Tour of PETER AND THE WOLF and every episode of RADIO HOUR. You may have also seen his work at SLAC and the Hippodrome in Florida. Jay is Program Coordinator of University of Utah’s Youth Theatre. Jesse Portillo** (Lighting) has designed for Plan-B since 2007, where his favorite productions include HEDWIG AND THE ANGRY INCH, BLOCK 8, EXPOSED, AMERIGO, ERIC(A) and SHE WAS MY BROTHER. Other local designs include PTC, SLAC and PYGmalion. Regional credits include LOOK Musical Theatre, Mobile Opera and Baylor & Millikin Universities. Proud member, USITT and USA Local 829. Aaron Swenson (Costumes/Artwork) designed Plan-B’s 2012 revival of HEDWIG AND THE ANGRY INCH, BOOKSMART and THE EDIBLE COMPLEX. Other designs include THE ROCKY HORROR SHOW and TWO DOLLAR BILL (PTC), GEOGRAPHY CLUB and AVENUE Q (UofU), ASSASSINS, tick..tick…BOOM! and THE GREAT AMERICAN TRAILER PARK MUSICAL (Dark Horse) and YOU’RE A GOOD MAN, CHARLIE BROWN and TWELFTH NIGHT (Salt Lake Shakespeare). Aaron spent the last eight seasons as Head of Wardrobe and Crafts at PTC. Acting credits include three productions of HEDWIG AND THE ANGRY INCH (Plan-B) and BUYER & CELLAR (PYGmalion). I went to see Six Feet in the Pine at Urban Lounge one night and was really excited about the idea of them doing one of Hill’s songs. I asked them to do “We Will Sing One Song” and they did a great version [which is part of the preshow music for ONE BIG UNION]. It’s not one of Hill’s better known songs. In the hallway of a Russian government building we were gazing at portraits of the founders and heroes of socialism. Marx, Lenin, Engels, etc. But there was a man in a hat I had never seen before. My host was baffled that I had never heard of the man, seeing as that I was from Utah. It was my first meeting with Joe Hill. Our interest in socialist / communist / anarchist ideas and U.S. labor history naturally led us to Joe Hill. As musicians we have used some of Joe’s lyrics. 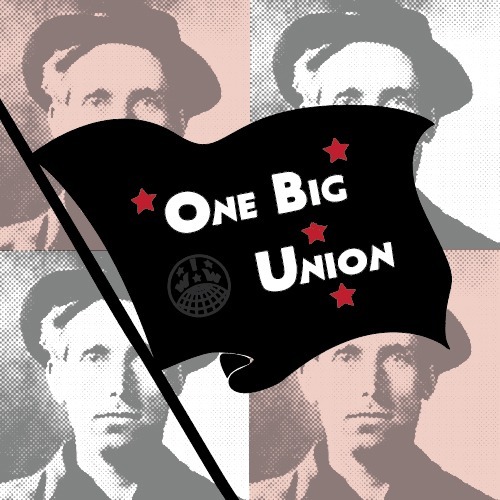 ONE BIG UNION celebrates the impact and music of Joe Hill. So we asked playwright Debora Threedy to share ten things she wants you to know about him before you see the play.